(2012.201.B0113.0577, Oklahoma Publishing Company Photography Collection, OHS). (22310.593, Oklahoma Highway Patrol Collection, OHS). Oklahoma law enforcer and legendary sharpshooter Jacob Aldolphus "Jelly" Bryce, the only son of Fel Albert and Maggie Meek Bryce, was born on December 6, 1906, in Mountain View, Oklahoma Territory. Named for his two grandfathers, Jacob adopted the name Delf Albert to honor his father and maternal grandfather. Apparently during his tenure with the Oklahoma City police department, he acquired the nickname "Jelly," short for jellybean, which meant a dapper dresser during the Roaring Twenties. 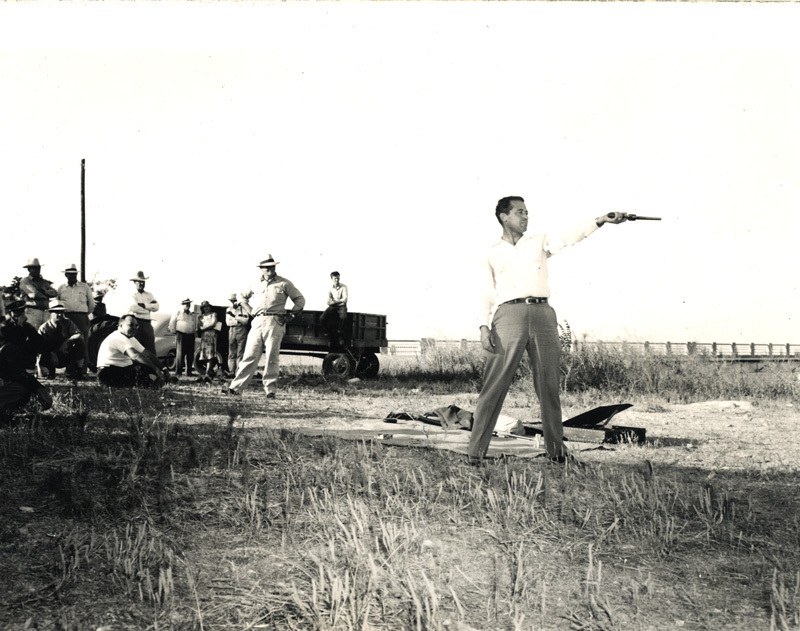 Living in rural southwest Oklahoma, young Bryce learned to shoot and perfected the proficient marksmanship that would benefit his future career. After graduating from Mountain View High School in 1926, he moved to Seminole and worked in a grocery store before becoming a game ranger in August 1927. His law enforcement career spanned thirty years, from 1928 to 1958. 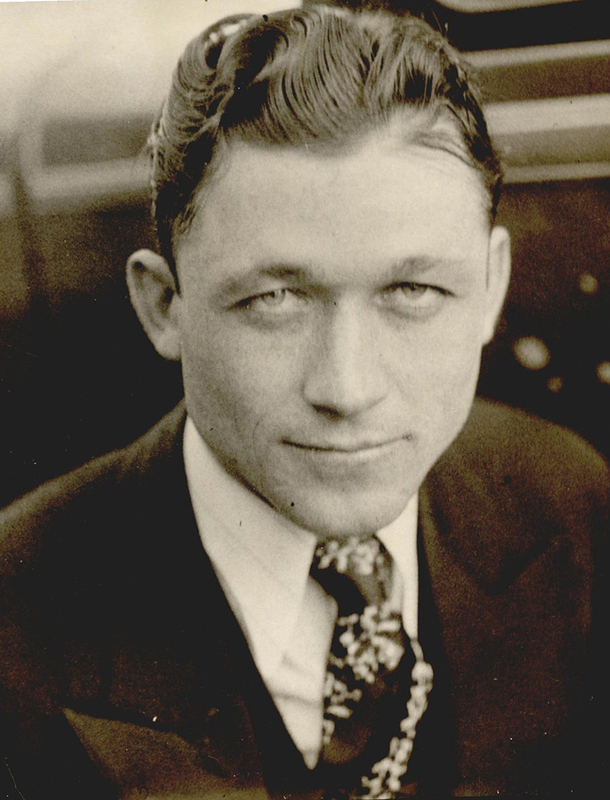 Before joining the Federal Bureau of Investigation (FBI) in 1934, Bryce worked for the Oklahoma City police department as a detective. Despite numerous encounters with gun-toting criminals, Bryce received only one bullet wound during his lifetime, and that in an incident when he was a teenager. Although his FBI positions required many relocations, he spent fourteen years of his twenty-four-year career in Oklahoma City. Before his retirement in 1958 he was assigned to Albuquerque, New Mexico, but returned to head the Oklahoma City FBI agency in February 1956. Immediately after he retired in January 1958, Bryce filed as a Democratic candidate for Oklahoma governor. His campaign platform included a wide range of initiatives. He discussed an overhaul of state law enforcement, a state youth program to prevent juvenile delinquency, and an improved traffic safety program. Rather than compete against Democrat J. Howard Edmondson in the primary, Bryce changed his affiliation to Independent in April. However, this strategy failed. Edmondson was victorious in the 1958 fall election. After Bryce's short stint in politics, he operated a farm near Mountain View. Bryce married twice. His first marriage, to Frances Maxine Wilson, with whom he had a son, William Delf, ended in divorce in 1932. He later met Shirley Geraldine Bloodworth, in Roswell, New Mexico. After a brief courtship, they married on July 27, 1944, in Carrizozo, New Mexico. Their son, John Fel, was born in Oklahoma City in 1945. Delf Adolphus "Jelly" Bryce died on May 12, 1974, and was buried next to his wife Shirley in Mountain View, Oklahoma. "Jelly Bryce," Vertical File, Research Division, Oklahoma Historical Society, Oklahoma City. Ron Owens, Jelly Bryce: Legendary Lawman (Paducah, Ky.: Turner Publishing Co., 2003). Linda D. Wilson, "Bryce, Jacob Adolphus," The Encyclopedia of Oklahoma History and Culture, https://www.okhistory.org/publications/enc/entry.php?entry=BR030.